Does this work with iPhones/iOS/Apple? Why doesn’t this work with iPhones/iOS/Apple? When will this work with iPhones/iOS/Apple? The reason we developed Simple Beacon was because of its amazing ability to reach new prospects in the hopes of turning them into new customers. The ability to magically appear on someone’s phone in a polished and non-spammy way was unbelievable the first time we heard about it. As Real Estate Brokers our thought was: Use Beacons to reach new people -> Direct these new people to a landing page where they may provide their contact info -> Connect with them -> Systematically market to them -> Turn them into happy, loyal and lifelong clients! And this is what we did and are doing. At this point, iOS will not allow a Simple Beacon proximity marketing notification to be displayed without one of the aforementioned items. We hope that this changes in the future. The good news is that our Simple Beacons have the iOS’s beacon technology protocol, called iBeacon, already built into them. Therefore, if Apple decides to allow this feature, we will become compatible. Use this to turn off notifications from a Beacon. You do not need to fill out the Title or Link field if you are clicking to Disable. Notifications will be disabled for this Beacon until you choose to Update your Title and Link with something new. Enter a URL of a website. Please note that this method is a different way of sending a notification to someone’s device. There is a pro and con of using this method. PRO: The Favicon of most destination websites will be displayed in the notification. If your site has a cool Favicon it will show up! 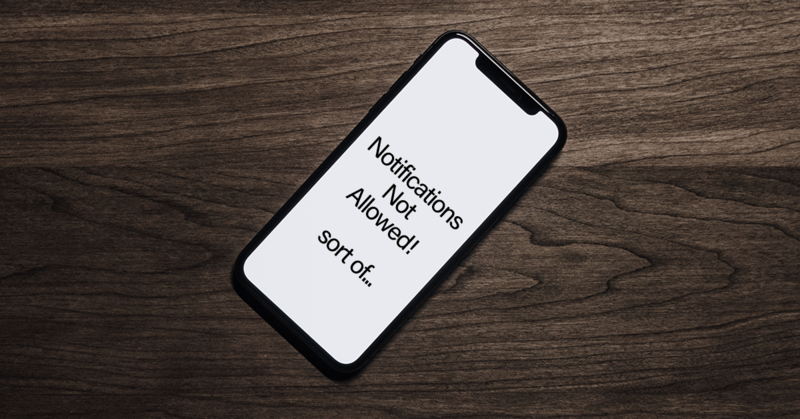 CON: This type of notification will generally be of a lower priority and usually may not show up on the lock screen, sleep screen or in the notifications bar. Please Note: The URL must start with HTTPS and will not work with HTTP sites. Enter the URL of a website that you would like to open when a recipient clicks your message. This only works for YouTube Videos. YouTube Channels or Playlists will not open via this method. There are two ways to find a YouTube Video link. 1. Web Browser: Open the YouTube video is in a browser and copy the entire YouTube Video web address. 2. YouTube App: If you are in the YouTube App on a phone or tablet, find the YouTube Video and click the “Share” button. Once you click “Share” in the YouTube App click on the option to “Copy Link.” To paste your link on the Simple Beacon site, push and hold your finger on the “New Link or Facebook Page ID:” field and click “Paste” once it pops up. Your Facebook Page ID is found at the bottom of the “About” section of a Facebook Page that you control. You must be a Facebook Page administrator to see the Facebook Page ID. If you are not an administrator you can go to www.findmyfbid.com to find any Facebook Page ID. An example of a Page ID is: 20531316728. Please note that currently only Facebook Pages are supported, NOT Facebook personal Profiles.